^ 2.0 2.1 艾美奖唯一到场的获奖者：鲍尔斯-布思. 时尚网. [2008-09-22] （中文（中国大陆）‎）. ^ Nordyke, Kimberly; Rahman, Abid. Powers Boothe, 'Agents of S.H.I.E.L.D.' and 'Sin City' Actor, Dies at 68. Hollywood Reporter. May 14, 2017 [May 14, 2017]. 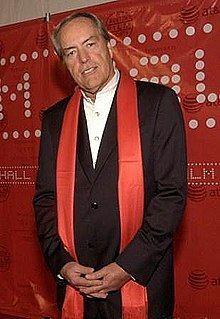 ^ Powers Boothe, Emmy-Winning Character Actor, Dead at 68. The Wrap. May 14, 2017 [May 15, 2017]. ^ Schwartz, Ryan; Schwartz, Ryan. Deadwood's Powers Boothe Dead at 68. TVLine. May 15, 2017 [May 15, 2017].